Aptrack additional options - Configuration and settings menu. The following screen allows you to customise how applicants are displayed in Aptrack. Clicking the show/hide check box accordingly, will allow you to filter out your applicants from Aptrack once a status has been selected. The primary function here is to 'hide' rejected applicants from the applicant list in Aptrack, and this will enable you to just view applicants that are of interest to you.For example, to hide all of the applicants that you have marked as rejected, simply uncheck the 'Rejected' box shown above. If the boxes have been unchecked in the configuration menu, then after hitting refresh all un-selected applicants will be hidden from the list. 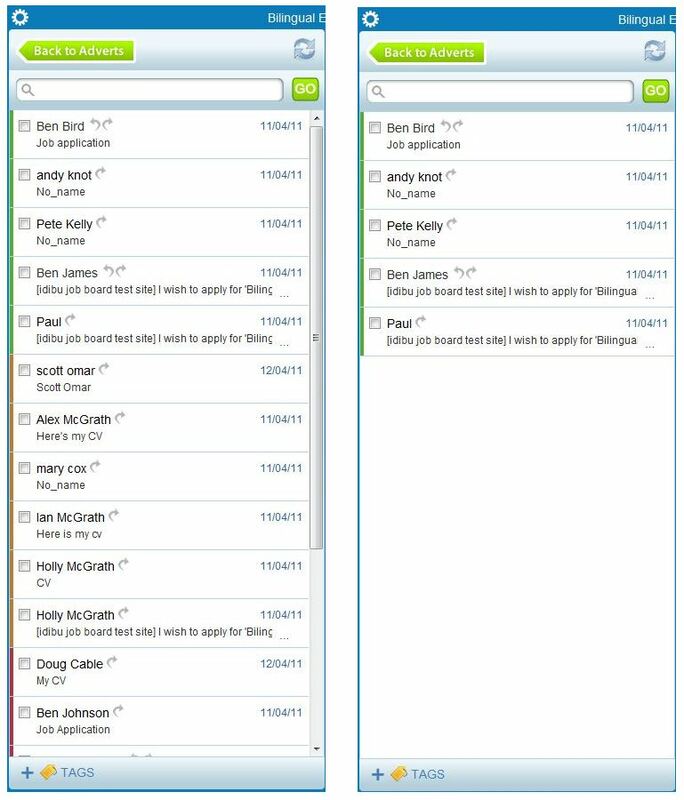 The two screen grabs below show the applicant list before and after the configuration has been updated. 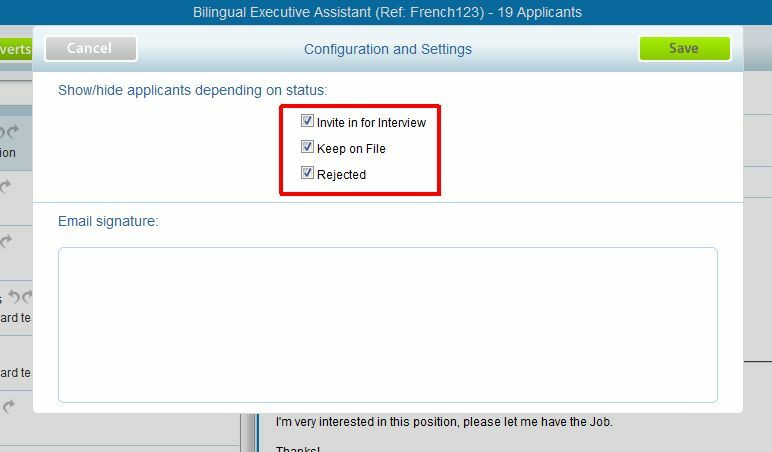 At any point, to bring these applicants back into Aptrack, simply access the configurations menu, and re-select the check boxes.